The monochromatic colours, the non-traditional expressions and the complete originality separate these dolls from the pack. 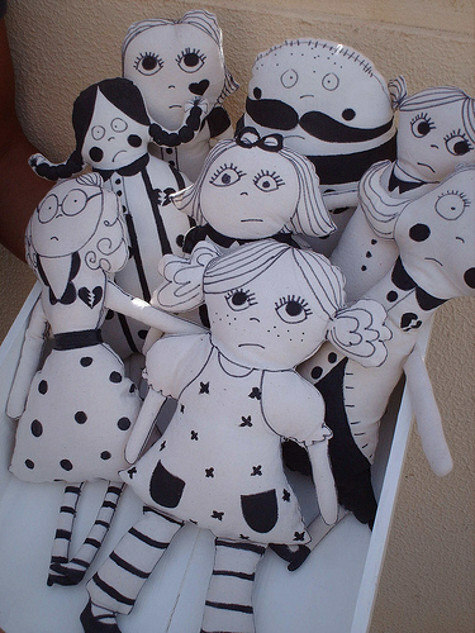 Direct from Lisbon, Portugal and called Chocha Dolls, each doll is handmade with organic cotton by designer Carla Valverde. She also hand-paints each one with amazing attention to detail so no two dolls are ever the same. 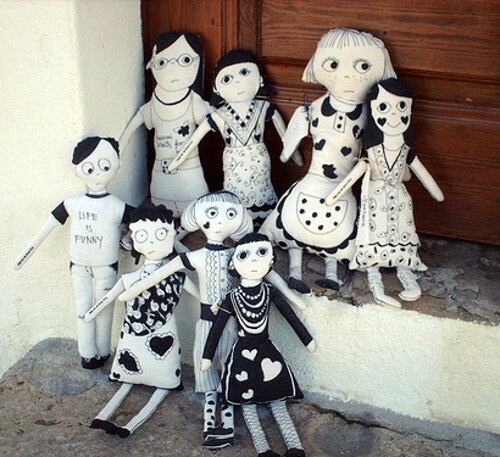 A labour of love, her dolls are to be cherished by a little one or parent alike and one can really appreciate the distinctive design and intriguing stories that must be behind every softie. To purchase, head to Carla Valverde’s Etsy shop where prices range from US$30 to US$48 plus postage. Also check out her Flickr images where you can see her hard at work hand-painting new dolls. Wow!